"Marcus Johansson #90 of the Washington Capitals takes a high-stick to the face from Andrew MacDonald #47 of the Philadelphia Flyers during the first period in Game Six of the Eastern Conference Quarterfinals during the 2016 NHL Stanley Cup Playoffs at Wells Fargo Center on April 24, 2016 in Philadelphia, Pennsylvania." Everyone near and on the ice needs to have quick reflexes. From the goalie tracking a fast moving puck to make a save, to the star of the game lining up the game-winning shot. But even those such as officials and photographers need to have quick response times. 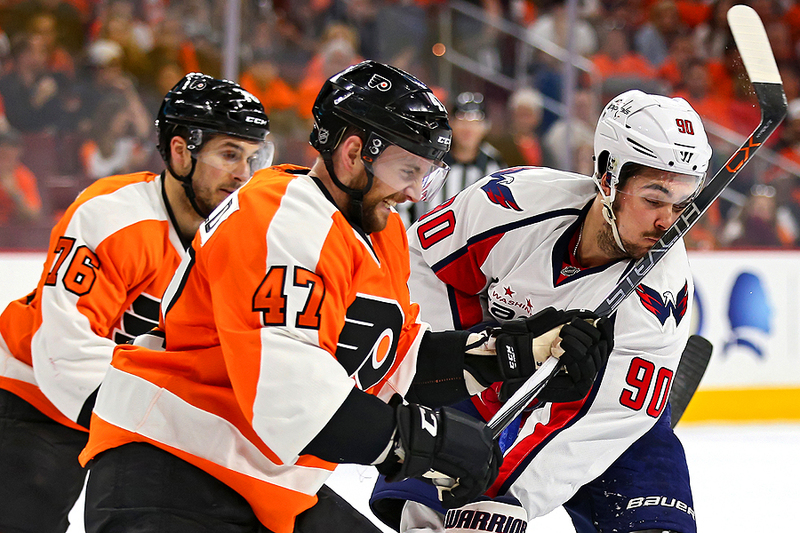 The other night as the Washington Capitals were trying to close out the Eastern Conference Quarterfinals against the Philadelphia Flyers reflexes came into play. Nothing is routine in the playoffs, but what seemed like a simple face-off turned into a high-stick penalty. A quick reaction to turn the camera resulted in documented said play. 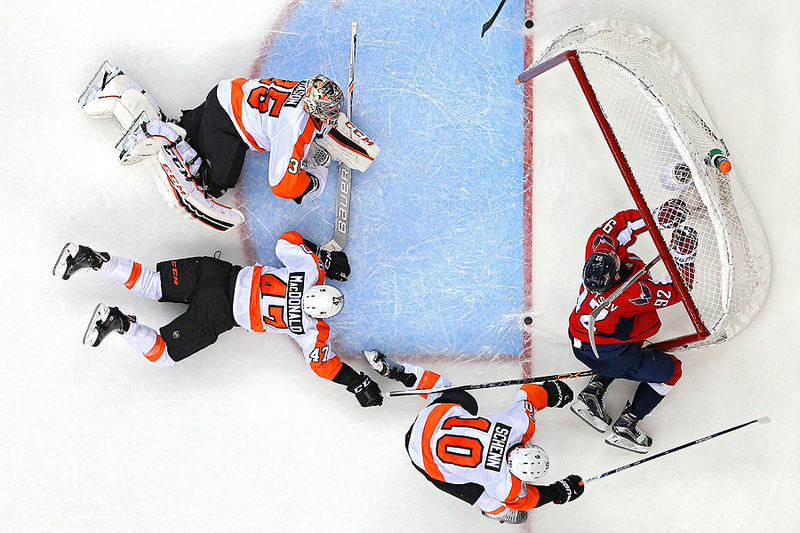 One of my favorite images from the game I thought it symbolized the series where the Capitals and Flyers put everything on the line in order to advance. "Sancchi Kukadia (left) and Holly Buechel fence in the epee gold medal final during the USA Fencing Division I National Championships at the Greater Richmond Convention Center on April 11, 2016 in Richmond, Virginia." There is nothing better than shooting something for the first time. 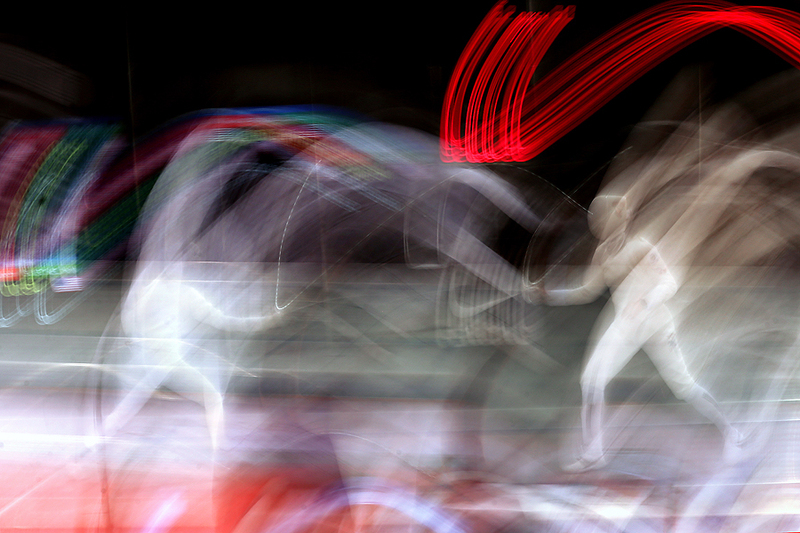 Last weekend, I had the opportunity to document some fencing action during the USA Fencing Division I National Championships in Richmond, Virginia. In no way have I ever photographed the sport, so I was excited, and nervous to get south. With lots of help from one of our freelance editors who fences when not working, I was able to get up to speed quickly on the different types of fencing, as well as, who the Olympians were. While I only had a couple hours to work, I had a lot of fun and wish I could have spent more time with the Olympians. One thing I noticed is there is a lot of emotion and a lot of freedom to be creative. This was one of my favorites of the latter despite loving the great jubilation that continually occurred. "Guillermo Avila of Mexico drips blood after taking a punch from Gervonta Davis (not pictured) in their super featherweights bout at the DC Armory on April 1, 2016 in Washington, DC." No one likes to see anyone hurt - but in boxing the theme heavily weighs on knocking your opponent out cold. Covering a handful of fights at the DC Armory last week, not many fights ended quickly. These conditioned athletes stood toe to toe for all rounds showing how resilient they are. 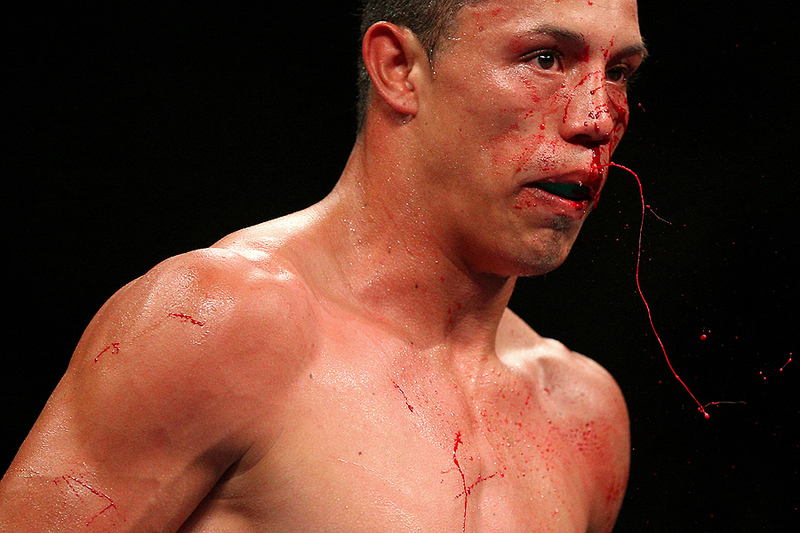 While a few did end in knock out or technical knock out, only one fighter shed a lot of blood. That was Guillermo Avila. With upper cheek slashed open, blood poured out of his face briefly before being tended to by his corner. It's always an amazing feat when boxers continue a fight after a gnarly gash, even more so, is that their corner is able to stop such a massive, bleeding wound so quickly. I have nothing but respect for these tough athletes every time I document boxing.